Ashley is a visionary and firecracker. Through Fire + Wind Co and The Firework Box, she uses her platform to encourage and empower women to create businesses of soul and success. Ashley has been published in countless publications worldwide, spoken to numerous audiences on the power of passion and community and worked with women from over a dozen nations to take their business into the next level in heart and strategy. She also has a thing for high-fives, giggling and she’ll probably want to hug you. 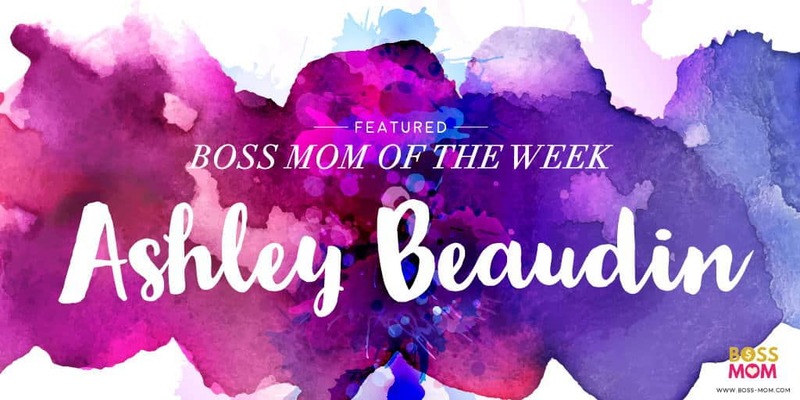 Even though Ashley is not a mom yet, she is our Boss Mom of the Week this week because she bleeds encouragement and is fabulous helping Boss Moms grow their businesses by bringing their purpose to life through her powerful copy. 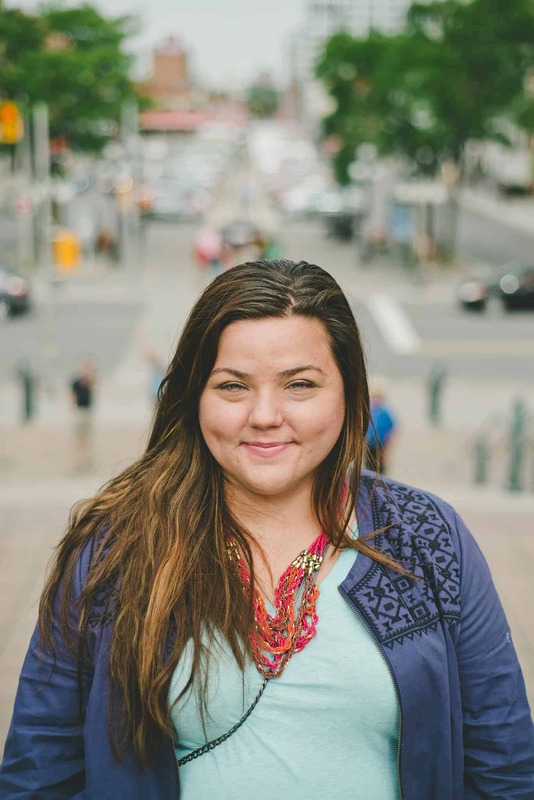 We want to always remember that the world is full of amazing women who are making a difference, just like Ashley. Here’s some more about her, in her own words. they do in a way that people just get or staying in love with what they do by listening to their heart, my joy is to bring encouragement in every interaction. care of your heart. You’re a powerful business owner with a powerful mission and I want to be a high-five to you. The boxes are delivered every month with a unique theme containing 4-5 curated items and could include ones such as paper goods, gifts, bath products, business tools and digital downloads! What is your favorite go to meal? My go-to meal to make is Shrimp Alfredo because I am just totally obsessed. Tell us your favorite blog to read, podcast to listen to, or Instagram account to follow and why you love them so much! I am consistently inspired by women who are full of encouragement in the way they do business and life. It all comes down to how we make people feel. I am always reading a million things! Lately, I’ve been reading Big Magic by Elizabeth Gilbert, Playing Big by Tara Mohr and some non-fiction by the classy Kate Morton. What do you like to do to take care of yourself? I am a sucker for the spa. Get me a robe, some slippers and a massage and I’ve just entered heaven. It is one of the very few places where I feel like I can totally unplug not just digitally, but also in my mind. Plus, lavender. Connect with Ashley at Fire and Wind Co.
Connect with the Firework Box. 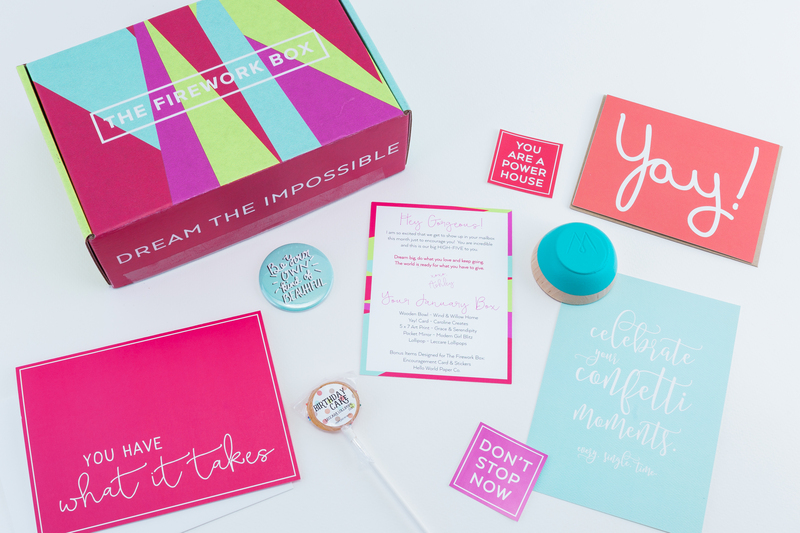 Here’s a peak inside the Firework Box! I love that you featured this lovely lady!